Hey everyone! Today I have a really cool guest post for you by Gwen from Fiery Millennials. We've all had that one teacher that changed our lives, right? end up changing the course of my entire life. with the trends, so I was left behind by my more fashion-conscious classmates. history, and some other subjects I’ve forgotten now. Let’s call him Mr. A.
passion for math and it showed when he taught us the building blocks for higher math. One lesson in particular stands out to me 15 years later. compounding. Mr. A could have left it at that…. But he didn’t. Instead, he opened up. He used real world examples of the debt he’d had to illustrate his point. credit card debt added up as he paid the minimums on it each month. simply to barely be able to scrape by as a first year teacher. compounds continuously is way harder than say, one that compounds once a quarter. story of how he accumulated all that debt and then his struggles in paying it off. frisbee they gave him for signing up. 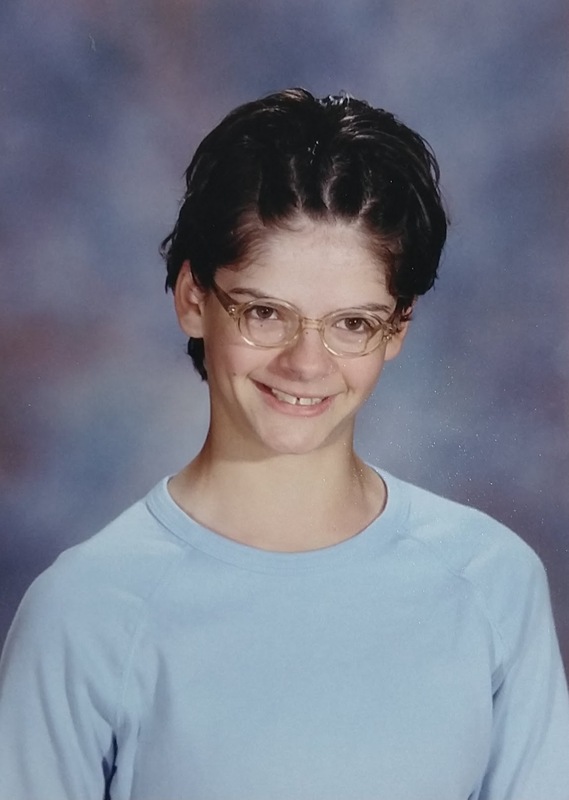 tutoring on the side, and even a part-time retail job. around 25 12 year olds, you’ll know how difficult that is to do for 5 minutes, let alone 50.
wasn’t going to fall for that free frisbee trick, no siree. (They outlawed that sort of underhanded behavior before I got there making that one a moot point, at least). schooling before the university offered me a full-ride scholarship for academics. from the military. I paid that off and drove it until I crashed into a full-sized doe. The next car I bought outright from my savings. My first credit card had a low limit and I made sure to pay off anything I put on it every single month. I didn’t want to rack up thousands of dollars and struggle to scrape by after graduation. Now, not all of us have a captive audience of 25 12 year olds for 9 months of the year. you started listening to or as big as volunteering to help at-risk women manage their finances. Gwen is a proud 27 year old millennial. She founded her blog Fiery Millennials upon graduation from college. Since then she has saved over $200k and started investing in real estate. Gwen spends her time petting her cute cat and working on her latest endeavor, Fire Drill Podcast. Who was the first person to teach you about money? Great post Gwen! Everyone needs that one teacher that connects and leaves an impact. Mine was a math teacher too, my high school calculus teacher. Not only was he hilarious, he was brilliant and he taught us that we could be brilliant too. Thumbs up for high school calc teachers! Mine was awesome too. Ask most people and they can all point to a teacher that made some sort of impact. I love that you point out we can all be teachers. You never know how one short conversation can change someones entire life. Gotta say that it was my dad who taught me about money. He knew a lot about money, stock market, 401K, IRA etc. He was just very apprehensive on implementing them. I am in my late 40’s, so 401K, IRAs weren’t around when he was young. Back then, you used a broker to invest. When I started my career 25 years ago, he told me to open 401k and IRA even if you just put $50/month. I never looked back. With internet, he has been investing by himself the past 20 years. He is 88 now and still investing. He probably knows more about the companies than some of the CEOs. He even got my mom to buy stocks on the internet for the first time five months ago. Ha ha. She was so excited. Wow that is awesome that your teacher was so comfortable opening up about his money struggles. We need more real talk, especially about money and especially when you’re young (and vulnerable to credit card and school loans). Glad it had such a positive outcome for you, and I hope your teacher is now happily out of debt. 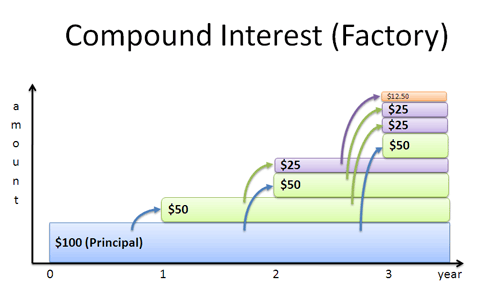 I love compound interest so much – in all areas of life. You start early, and you build up over time. Eventually, you’ll become an expert! Great story Gwen. It’s amazing how people can impact your life in unexpected ways. The first people to teach me about money were my parents. The biggest lesson though came when I first learned about the magic of compound interest. I’m not even sure who taught that lesson or where but the significance of it has thankfully stuck with me forever. This is a great story! My education about money came a year after college in a workshop about women and money. The instructor taught us how to figure out what we needed to live on and multiple that to the salary we needed to go after. I have a part time job working at a restaurant to help pay down debt and I’m constantly talking to my college and high school counter parts about money.